Well, now it looks like this! I turned the finished sheet over and cut it up. I did it from the back so that I couldn't worry about what the image was on the pages of the book I am going to make. This is the cover. I had papers left from the workshop that I hadn't used and painted them with watercolour paints. I put the pages out. I stuck down the shapes I had cut out of the painted papers. I did the same with the other 3 pages. I rubbed Oil Pastel over the yellow paint and then did a watercolour wash over the top. I also added some white highlights with an Oil Pastel. I added some colour to the cover. I stuck the pages together with double-sided tape and glue stick. The shape that I used throught the book is based on an Honesty plant. It is a bit of a cliché but I am going toput Honesty related quotes and Bible verses into the book. Come back later in the week to see the finished book. On Wednesday, Roger & I drove over to near Bridgenorth, where I was dropped off at Laura Kemshall's new workshop studio to spend a day playing. Roger went off walking on Clee Hill. And here's some of what I did. Here are some of the bits glued down in an unfinished composition. I came away with a head full of ideas. Of course whether this gets finished or gets chopped up into something else is anybody's guess. But the day was fun and the process was great. And that's all that matters. So yesterday I mentioned my 'Tulip' Book. This is a class by Ineke Berlyn. I dyed and printed the fabrics at a workshop at Ineke's studio and then tore the calico up to make the book. It's called a 'Tulip' Book because that was the theme Ineke used for her class sample! The dyed and printed calico. These next two photos show the stitching I did at the crop on Sunday. And this is the 'page' I have left to finish. I love using fabric that I've made myself. Yesterday I went to my local crop. A crop is a gathering of people - usually ladies - who make scrapbook pages. Except that I don't scrapbook anymore so I took my journals to finish. The pages of which featured here. I ended my last post with this photo of the signatures I had put together. I divided the 4 signatures into 5 and decided to make two journals - one with 3 signatures in and one with 2. I followed the course instructions (well almost!) and made the cover like a duvet cover. And it was just as difficult to get the stiffening into the cover as getting a duvet into a duvet cover! So for the second one I decided to have raw edges and not worry about it. Here's the first one with ribbon machined on for the closure tie. And the signature stitches on the spine. This one just has ribbon tied round it. I might stitch it to the cover! Here's a flip through of the two journals. I went to great lengths to film it so it wasn't wobbly like last time and yet this is the one that YouTube offered to remove the wobbly bits from! And while I was at the crop I also stitched some more of my 'Tulip' Book - an online class from Ineke Berlyn. But I'll leave that for another post. It's been a little while since I last posted. I have been so busy but nothing actually completed that I could blog about. I've been working on Altered Book class for His Kingdom Come and wanted to design some Thermofax screens for it. 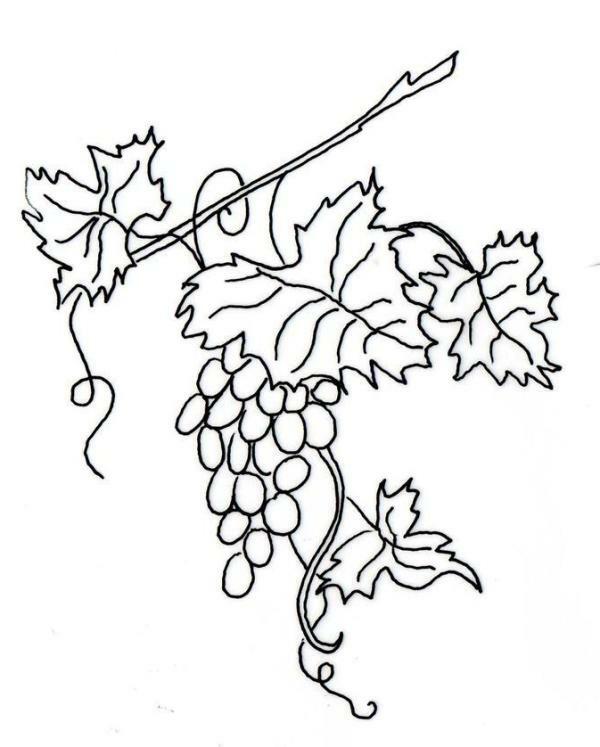 Shonna kindly drew this for me and this and the other designs she did are currently at the makers. I've been working on a book study for His Kingdom Come which starts in May. 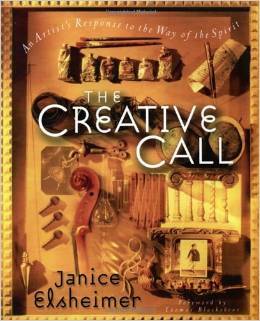 we are going to read The Creative Call by Janice Elsheimer together. And I've been working on a new collaborative class that the Foundation Team are going to put together when we meet up next month in Florida. How exciting is that! So all in all, I have been exceedingly busy and nothing to show you for all my work. Last year I took part in a Junk Journal Swap organised by Sandie Cottee. When my pages came and all the amazing bits and pieces I didn't know what to do with it. I knew how to assemble a Junk Journal - I just didn't know what I would use it for and so it got put to one side. Last week a new online friend, Angie, introduced me to an online class called Remains of the Day. And at last I could see what I could do with all the pages an ephemera Sandie had sent me. I resisted buying the class for all of an hour! So as an antidote to all of the stuff going on above I jumped in and started the class. I found all the pages that I'd been sent in the swap. I gathered together lots of bits of paper - you know the sort that's too good to throw away but not big enough to do anything with. And these bits of scrapbooking cardstock that were cut off some other project. I sewed these strips together to make pages that are 8 inches by 6 inches when folded. I sewed bits of paper on the sides. I sewed lots of pieces on all over the place. I have 28 pages so that's 56 sides and that's a lot of photos - so here are the pages in a rather wobbly video. Here are few of the pages. I also included some of my gelli prints and pages where I had cleaned stencils! I added bits of fabric. I divided the 28 pages into 4 sets of 7 for the signatures of the book. But put together they make a book around 3 inches thick. So now I'm wondering whether to make 2 books instead. I love the process of making things rather than the finished thing. This journal or journals was a satisfying process because I didn't think I just bunged stuff together. I could probably do the same thing with glue and doublesided tape rather than the sewing machine. And as for the pages I've made. Well, they're not very me and I don't know whether I will ever use it. Still, I have been very creative and that's what matters. Workbook or notebook or what? In May 2014 I went to a worskshop called Workbook In A Day with Anne Brooke. While I was there I started on the Workbook using my small Dylusions journal. Anne showed us how to use this journal as a diary or a notebook or a sketchbook or a workbook - whatever you want it to be. And these are the pages I started at the workshop. By the way there are a lot of photos in this blog post! And these are the ones I started when I was still full of enthusiasm back home. And then as with most workshops I go to, the enthusiasm wears off and I leave it unfinished. However recently Anne mentioned on Facebook that she had put a Start Your Workbook workbook on to her Folksy shop. So I ordered one and it ignited my enthusiasm for my Workbook or whatever I shall decide to call it. For Anne this style of working is a way of life and her workbooks are works of art in themselves. I'm still trying to work out whether this is something that totally appeals to me and currently I'm really only copying Anne's ideas until I get creative myself. Here are some of the pages I've done in the last week. I don't really do doodling so have copied these from Anne. I used a stencil and some distress ink for these. And drew with a black pen using a stencil on this page. This one is almost just me! I hope you have enjoyed all the photos.